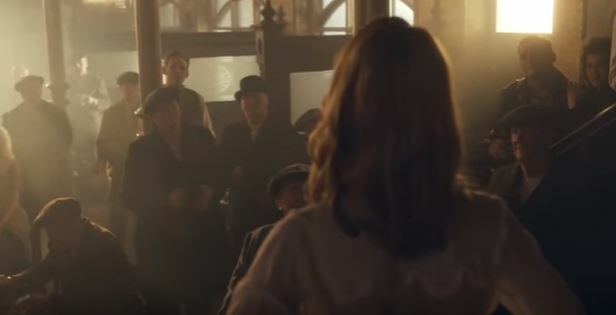 The UK is getting yet another seriously cool bar inspired by the hit BBC series, Peaky Blinders – and it’s opening in an old brewery. It’s a 1920’s themed bar, (of course) and will be opening in the former Cains Brewery building in the Baltic Triangle, Liverpool. The new bar will have period wallpaper and lighting, Victorian fixtures and Peaky Blinders decor throughout. What’s even more cool, is the bar can take advantage of the rustic brewery setting and will be keeping ‘some of the original features’, write the Liverpool Echo. The bar will be offering draught beers and a large selection of bottles – and excitingly, not the ‘normal’ brands. Guests can also expect fine wines and spirits, alongside cocktails on the menu, with drinks named ‘The Thomas Shelby’, ‘Naughty Ada’, and ‘Billy Kimble’s Breakfast’. The final touches are currently being made to the bar and owners say they hope it’ll be open around December 18th. 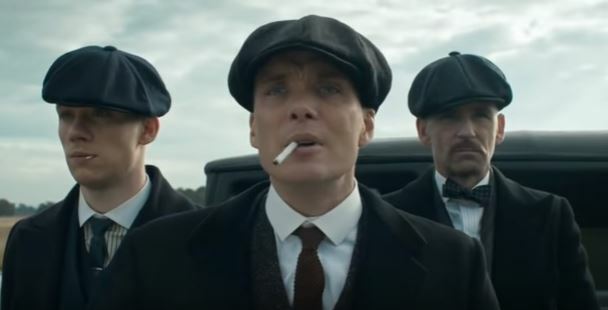 If you can’t wait for it to open, there’s already a Peaky Blinders hotel and bar in a ‘Victorian canopied boulevard’ – located in Southport. The sophisticated decor blends old with new – modern comfort with a 20’s twist. The 14 rooms are spread across one floor, some facing the famous Lord Street. All rooms feature super comfy bed/s and crisp bedding plus sleek bathrooms, with grey tiling and gleaming silver taps. In the evening, wander into Peaky Blinders Bar downstairs to try one of our 16 draught beers, enjoy a glass of fine wine or simply have a nice cup of tea or coffee. 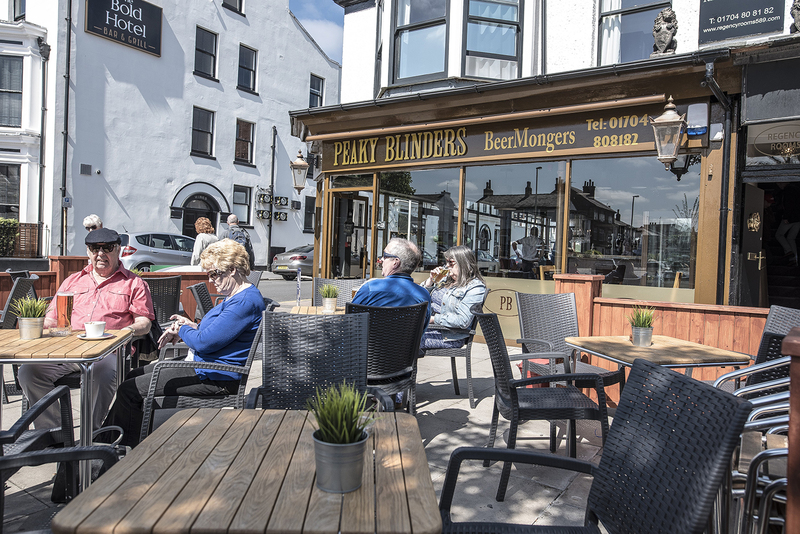 If you’re further south, don’t worry about missing out, you could always pop into the Peaky Blinders Bar and Grill in Winner Street, Paignton in Devon. Owner Jamie Devon told Caterlyst, visitors donning a flatcap will be entitled to a free shot. 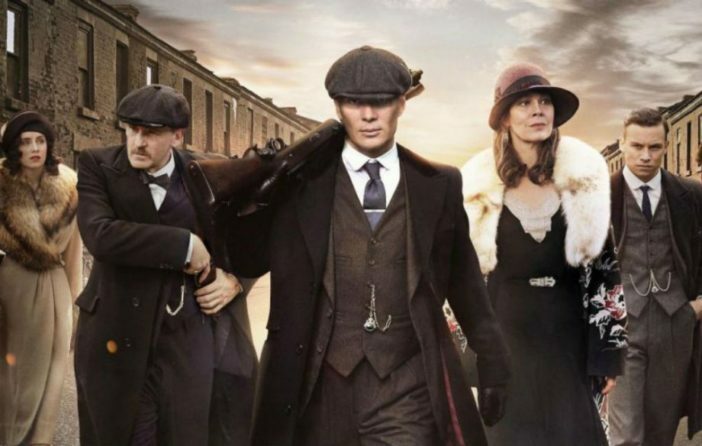 Jamie’s grandfather was reportedly a Peaky Blinder, part of the criminal gang based in Birmingham during the 19th and 20th centuries. The past nine months have been spent renovating the bar, creating a 1920s-style interior with bespoke furniture. It’s believed the menu will focus on rotisserie chicken dishes and to fit in with the theme, the bar will serve a lot of whisky – one of which will be 45 per cent proof. Yet, if you can’t make it to any of the bars mentioned but you’re a big fan of the programme, you can always buy this incredible Christmas jumper, which will impress all of your friends. The novelty Christmas jumper has gone from strength to strength in recent years and now, there’s a whole range of ugly sweaters to choose from, making the decision of which one to get nearly impossible. However, this decision just got a lot easier thanks to TeeChip, who’ve released a Peaky Blinders jumper, just perfect for any fans of the show. Although Christmas at the Shelby household is unlikely to be merry, you can spread some Peaky Blinders festive cheer with your new snazzy looking, cosy jumper. 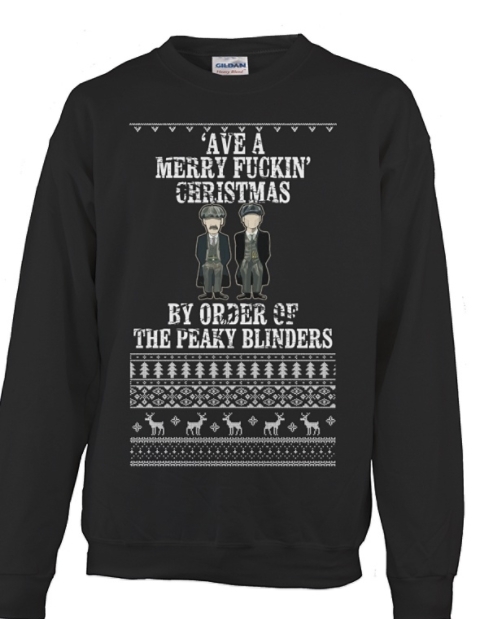 With the slogan, ‘Ave A Merry F*cking Christmas, By Order Of The Peaky Blinders’ emblazoned on your chest, the jumper is sure to get some jealous stares in the office, as everyone else wishes they’d picked one up.